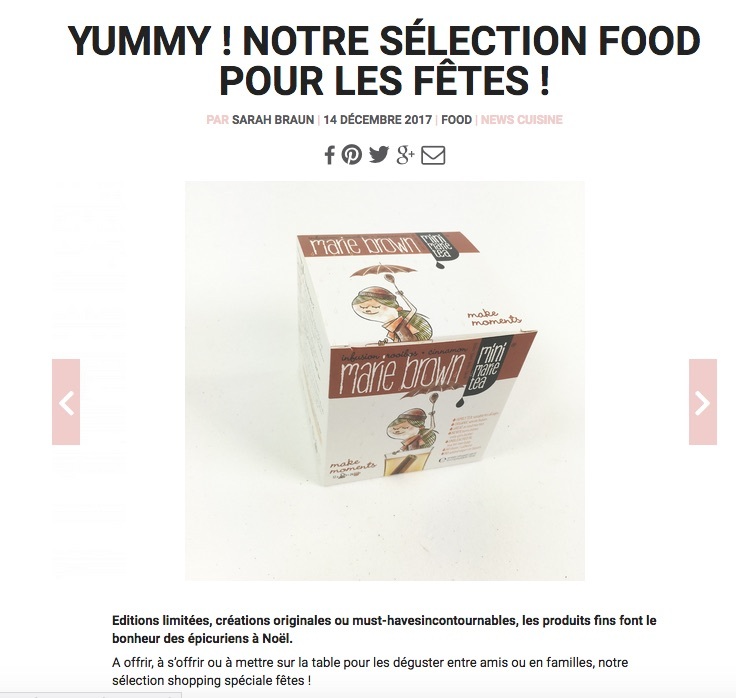 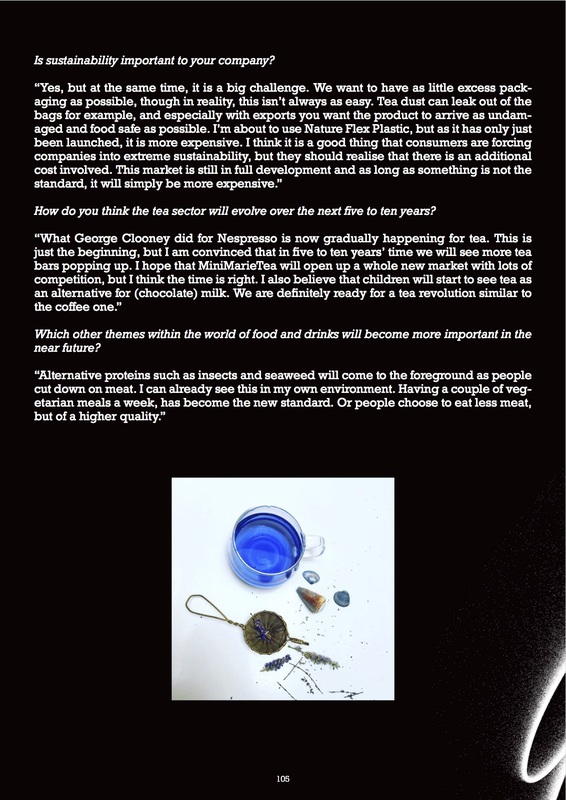 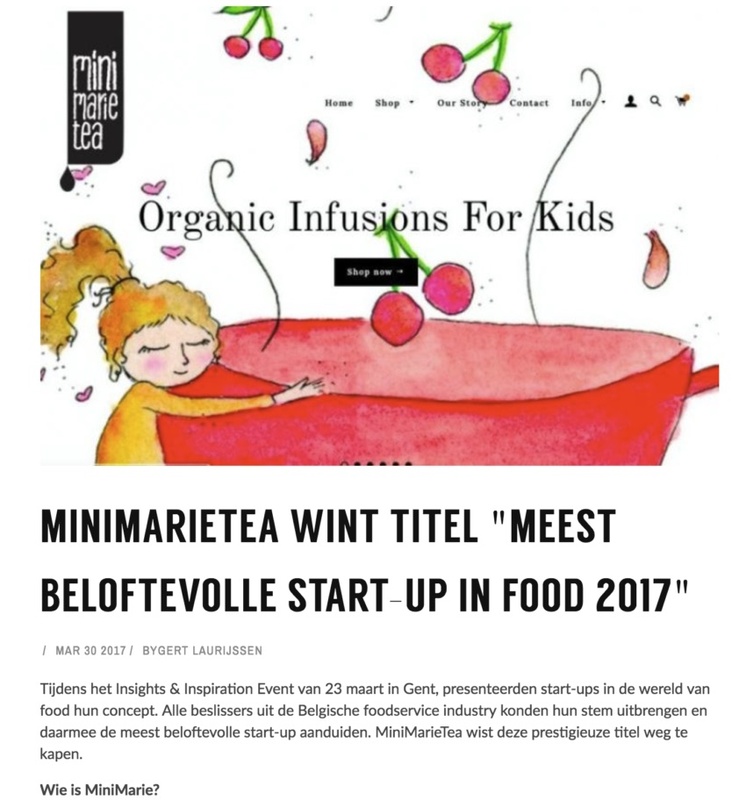 MiniMarieTea wins ‘most promising food start up’ prize. 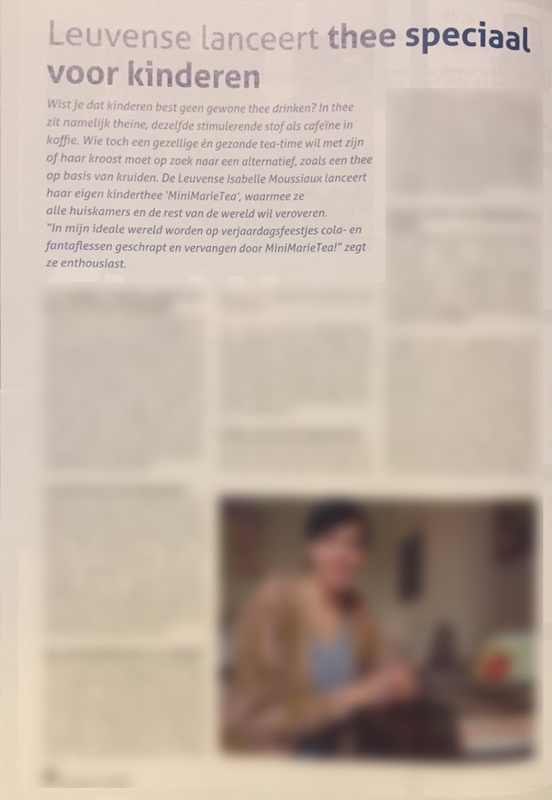 Read the article here! 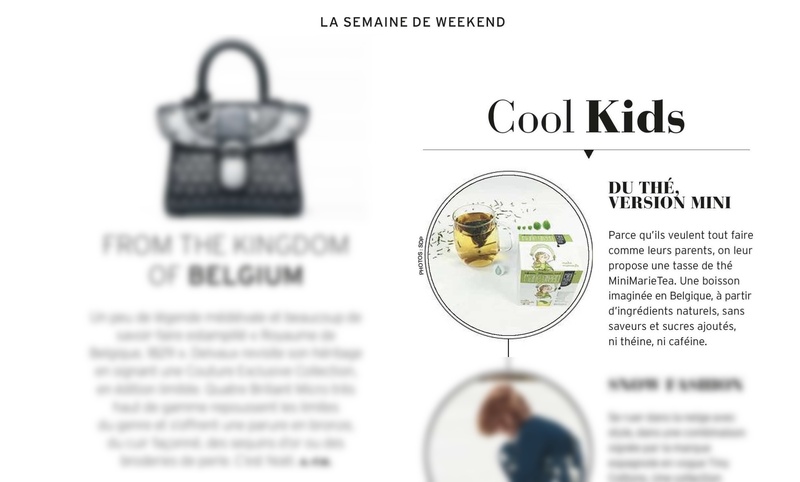 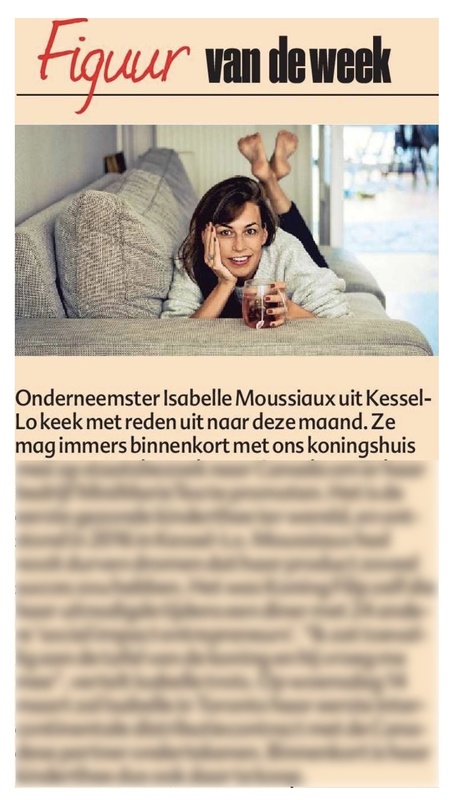 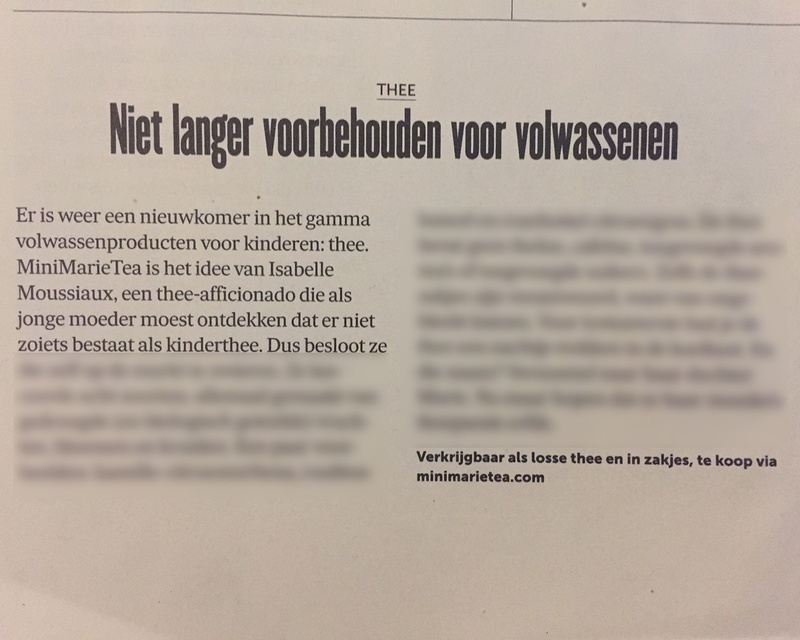 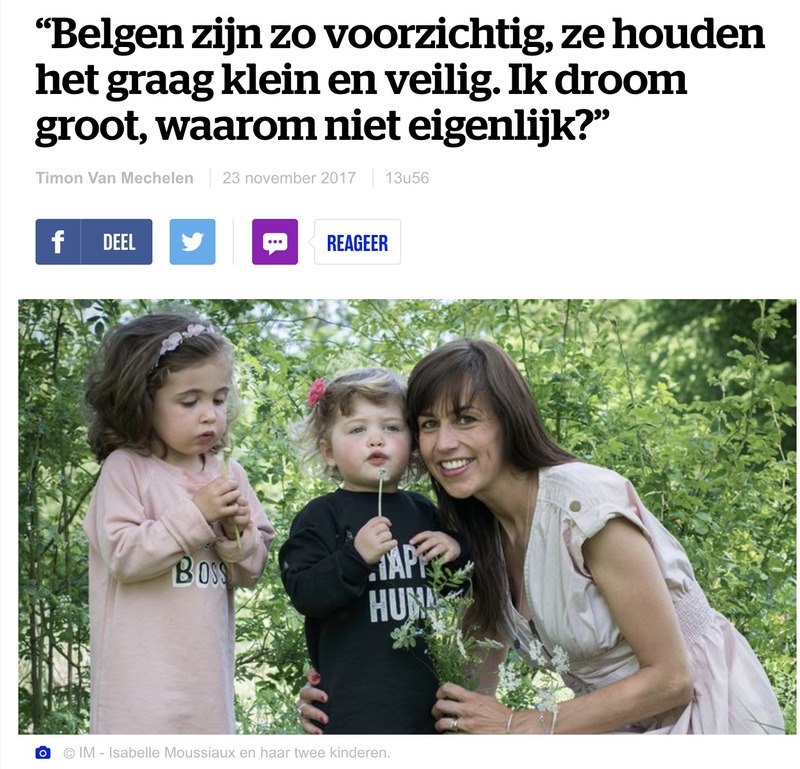 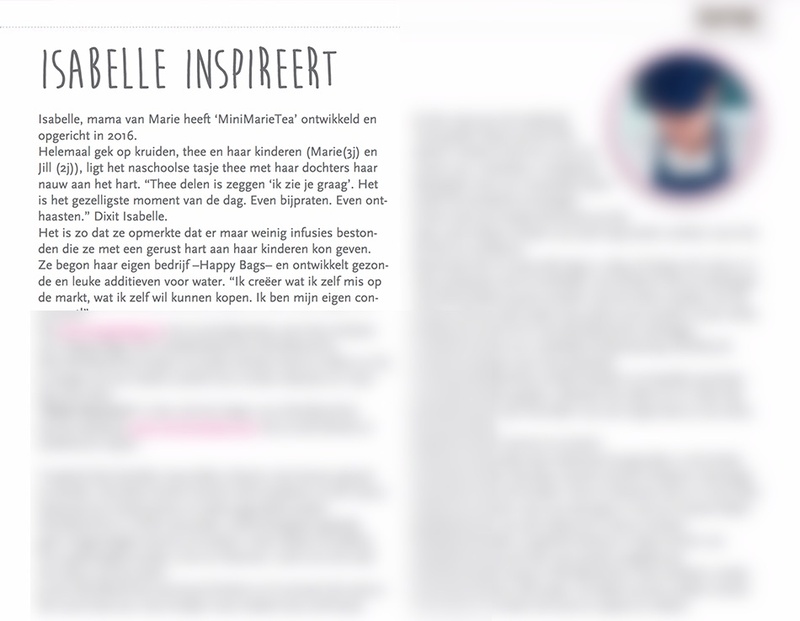 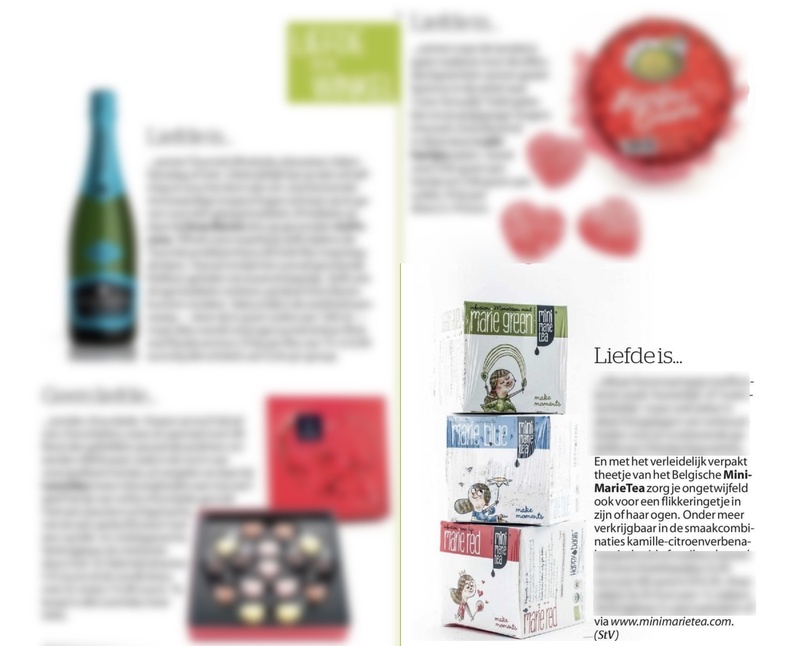 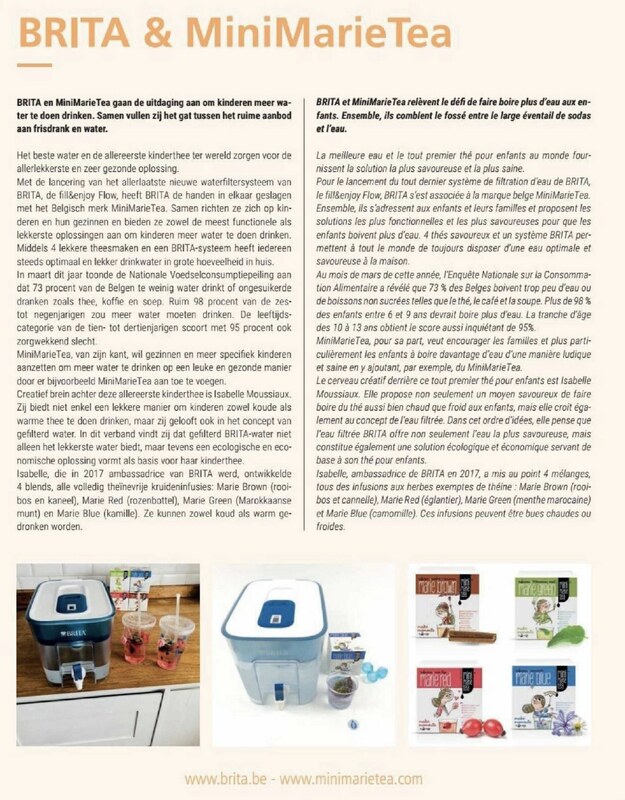 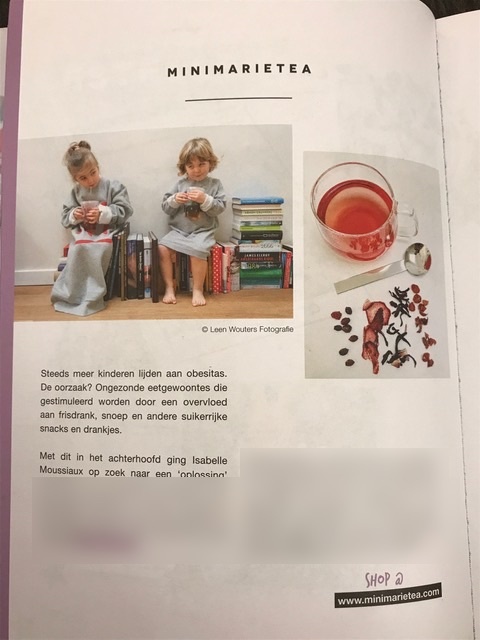 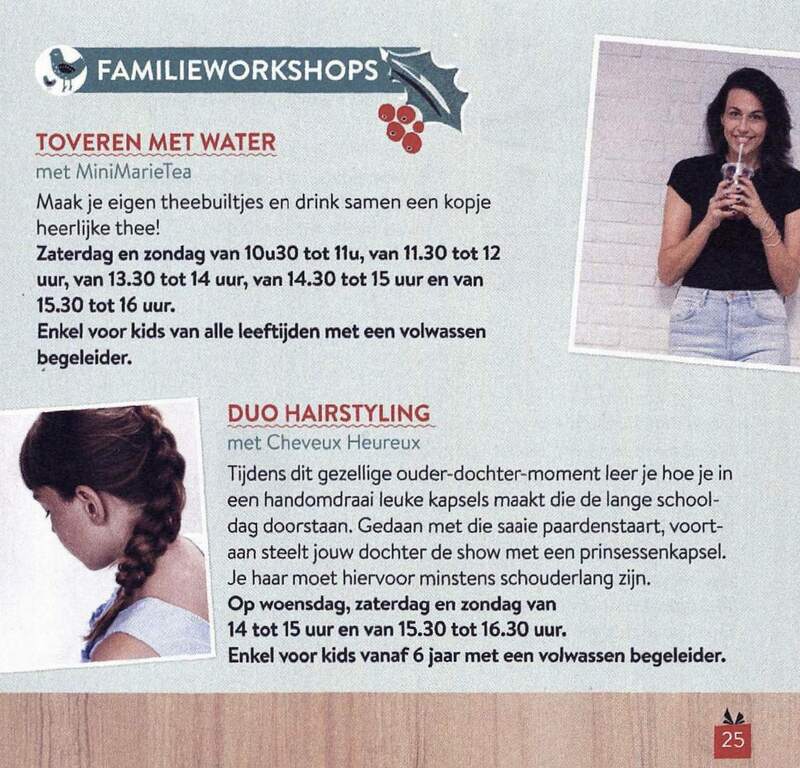 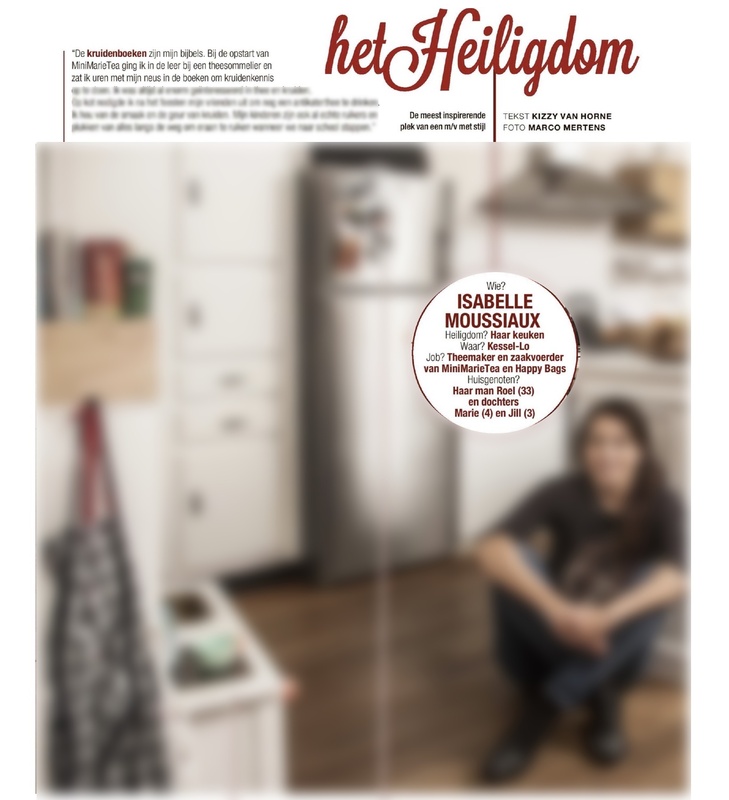 Lees het volledige magazine hier. 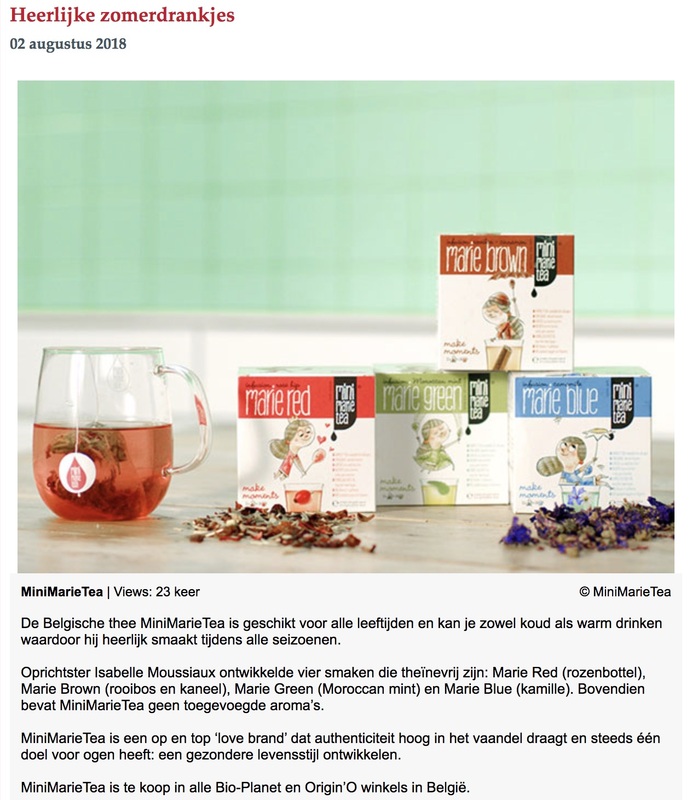 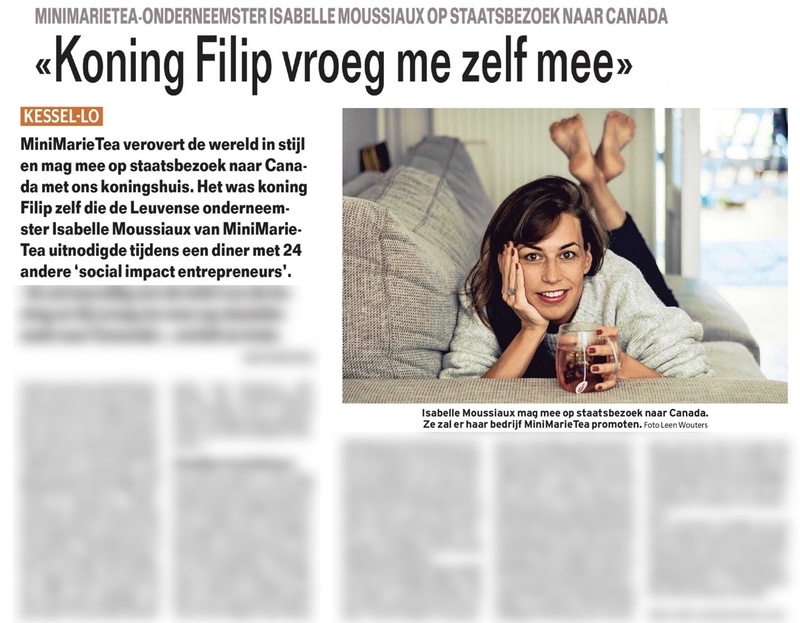 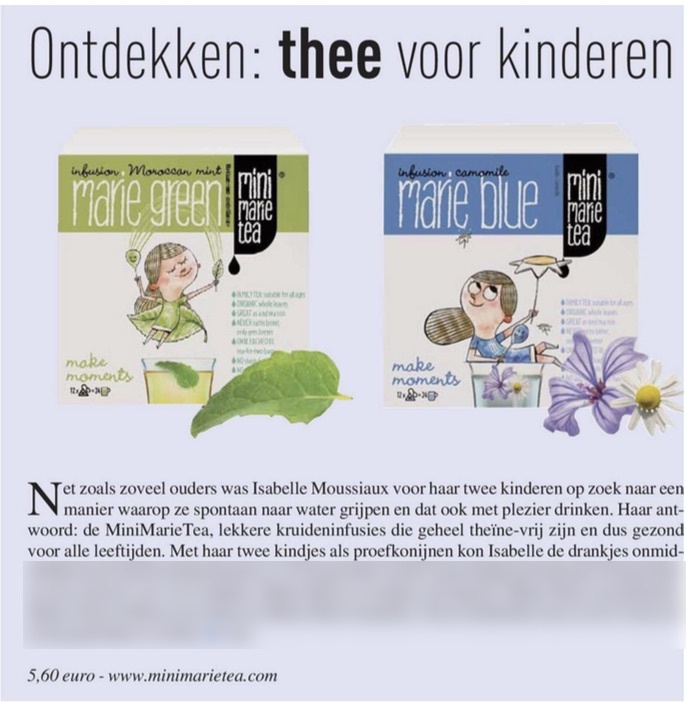 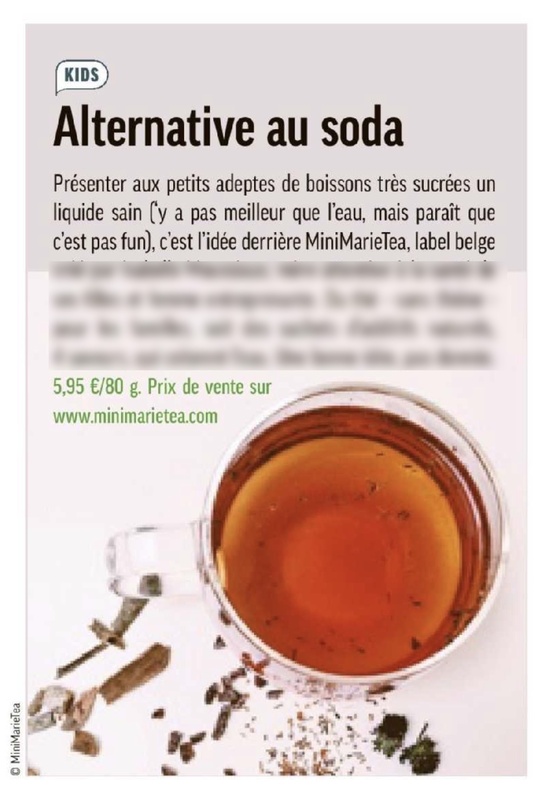 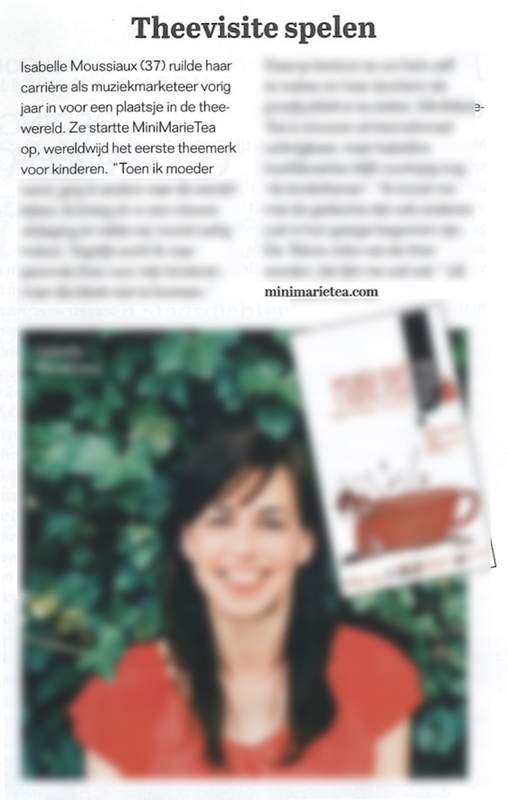 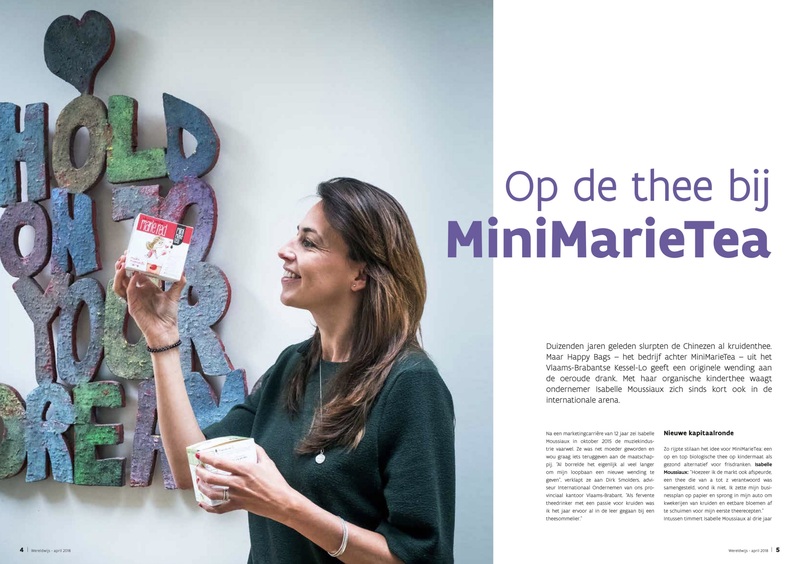 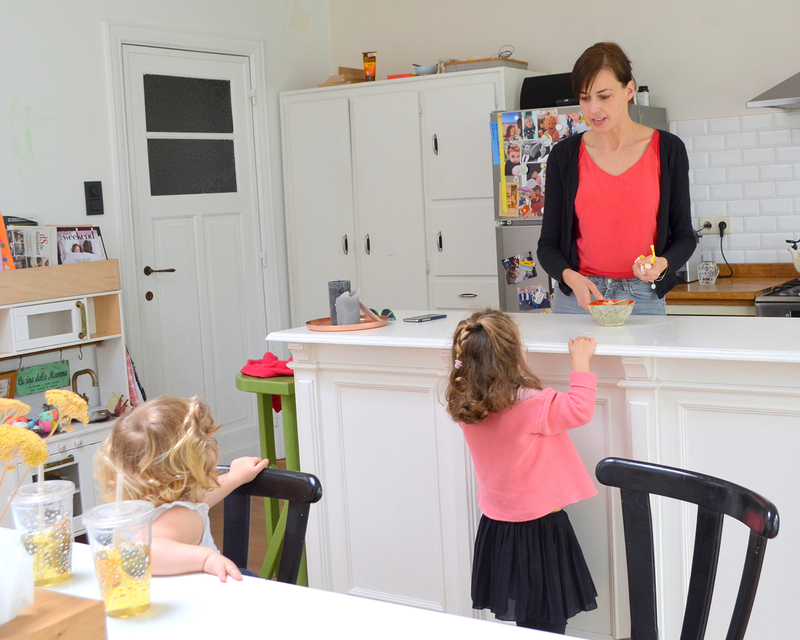 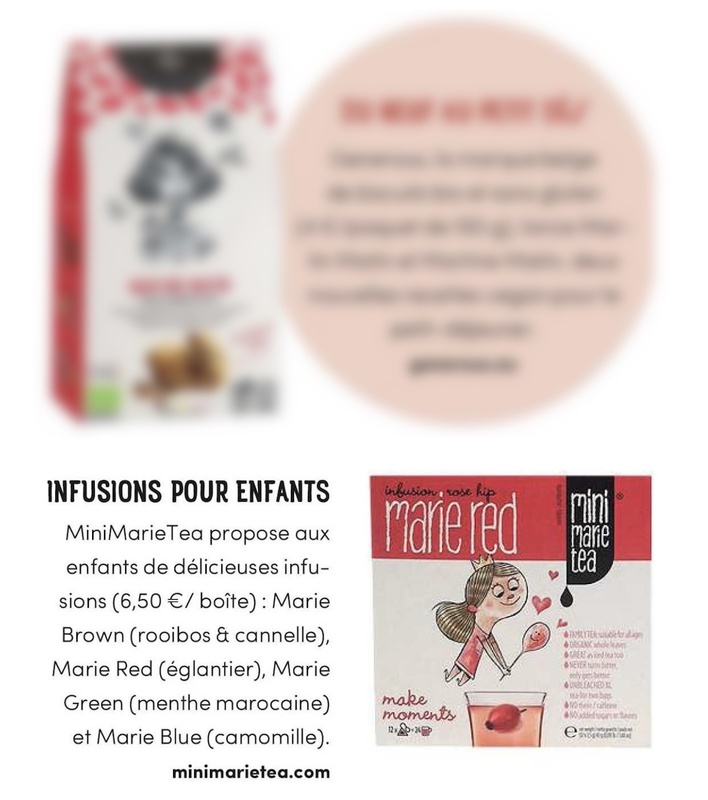 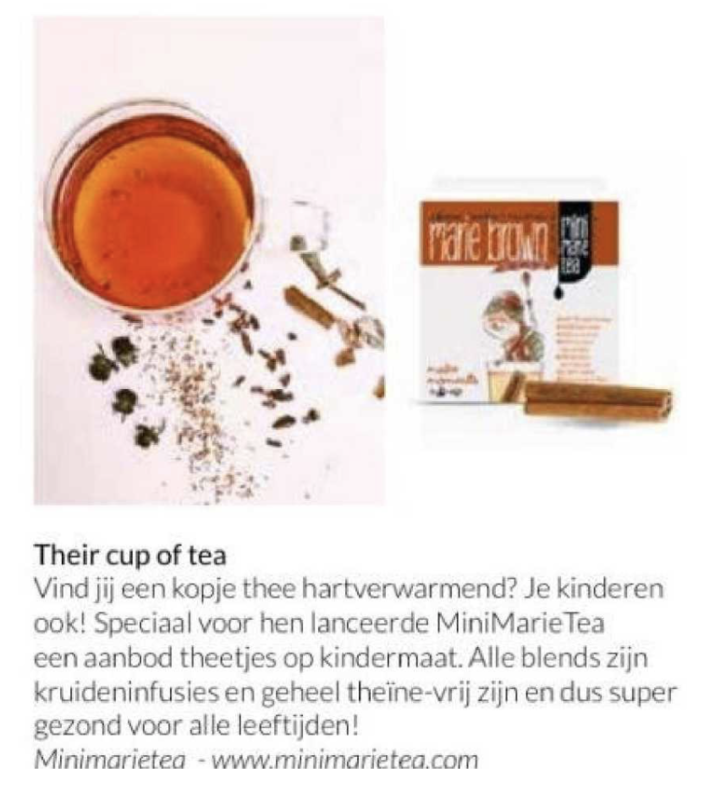 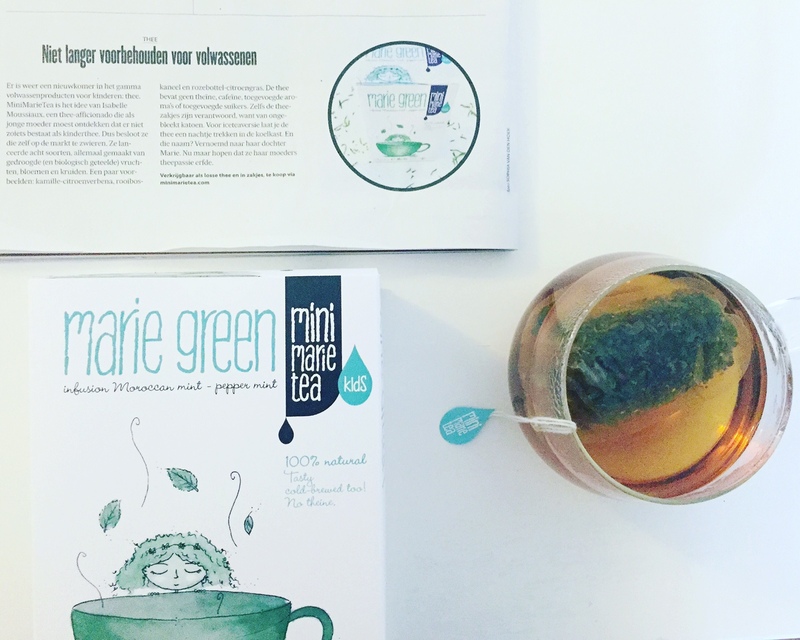 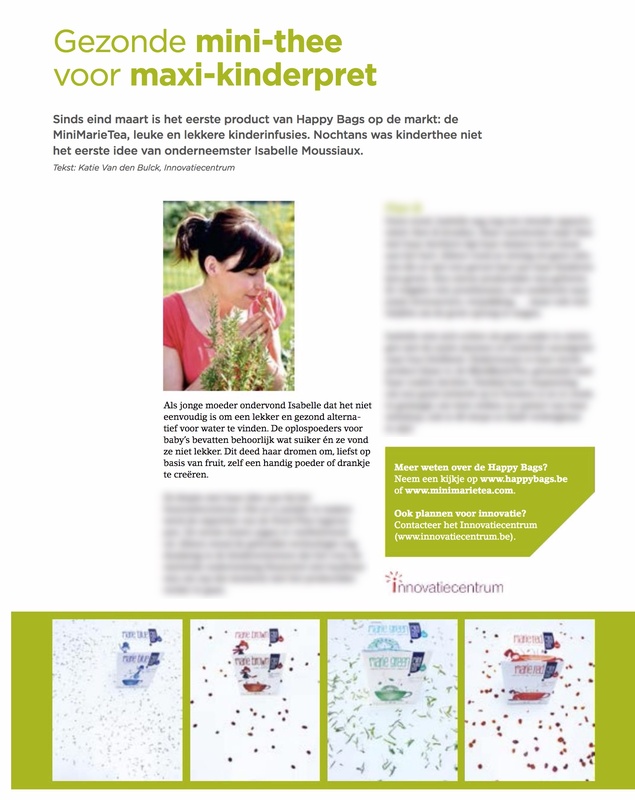 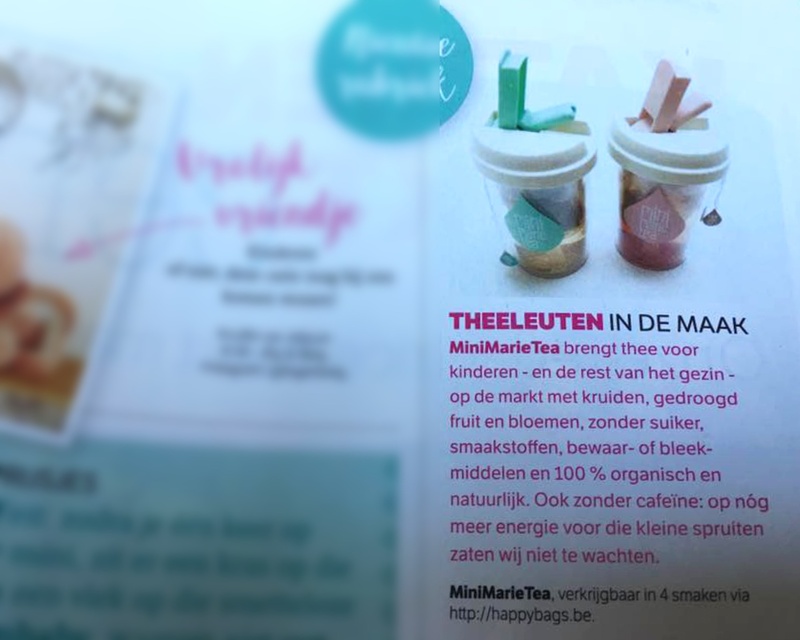 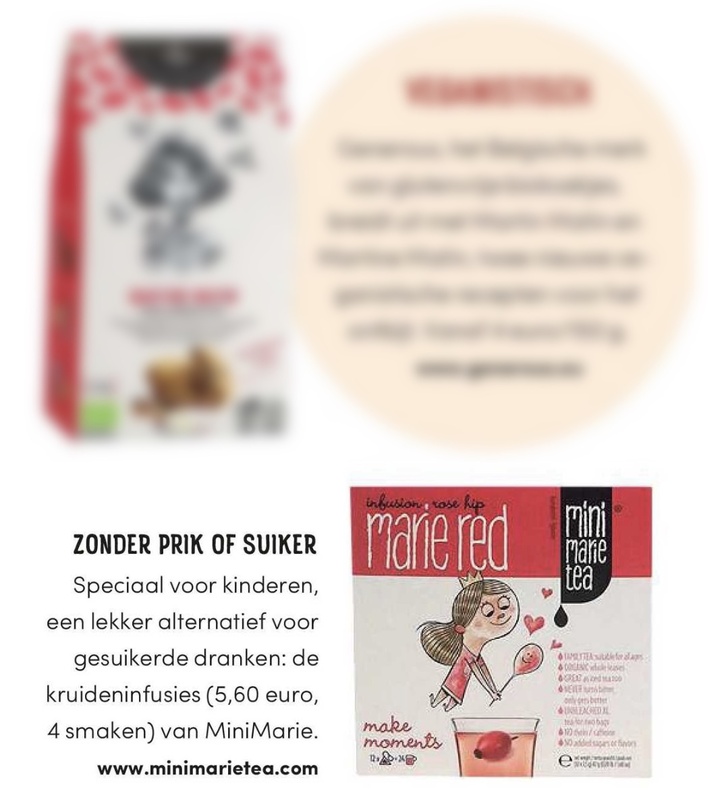 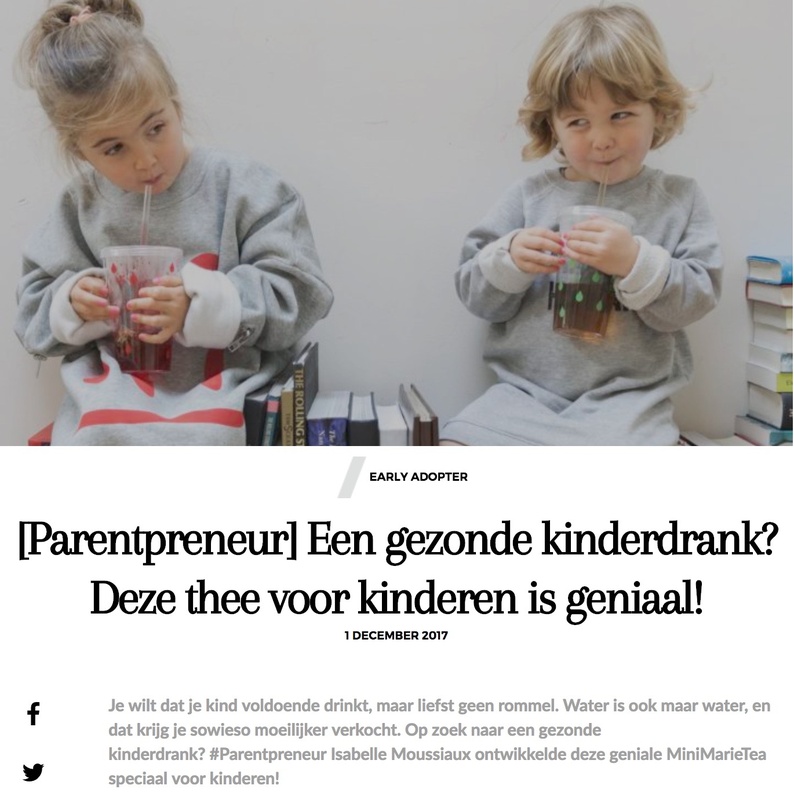 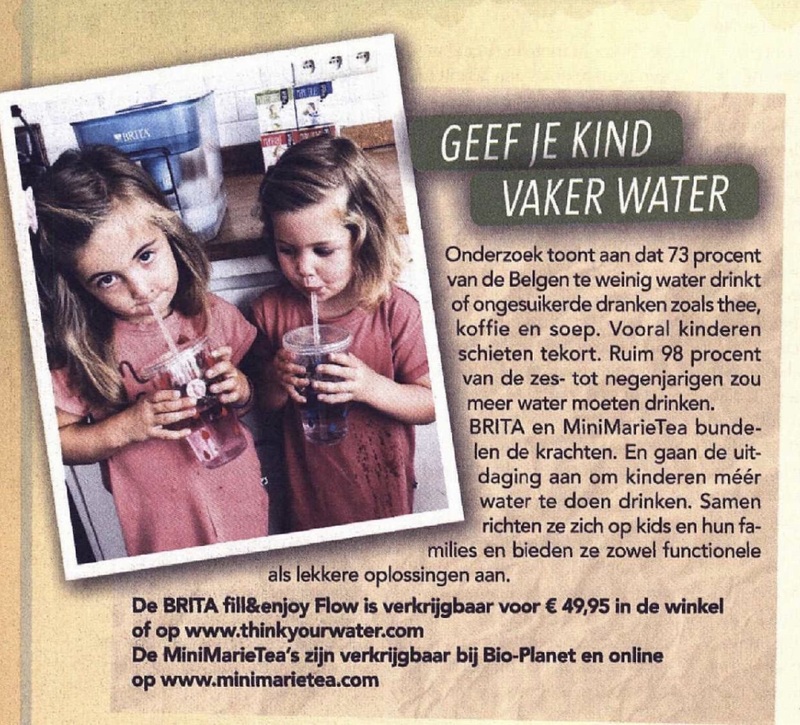 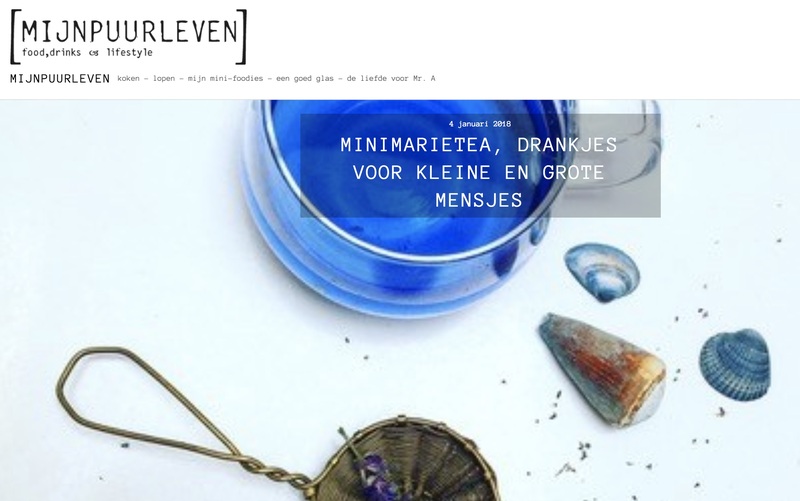 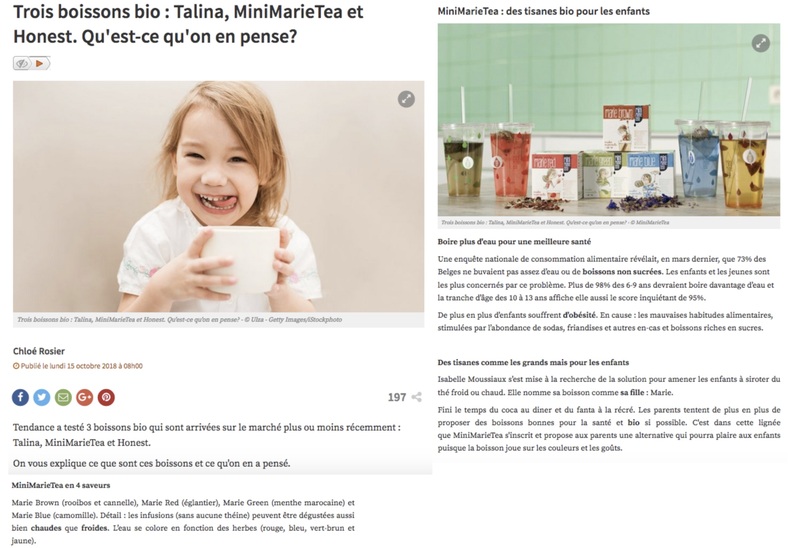 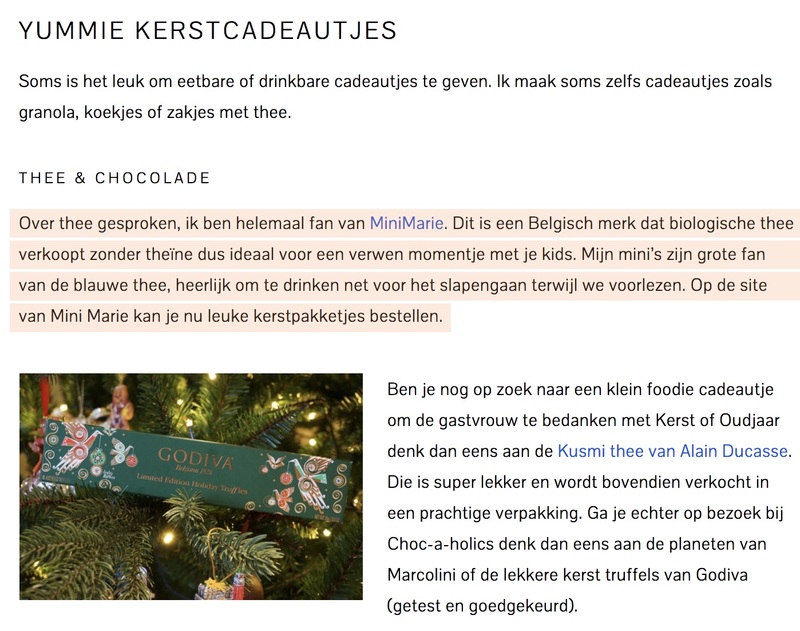 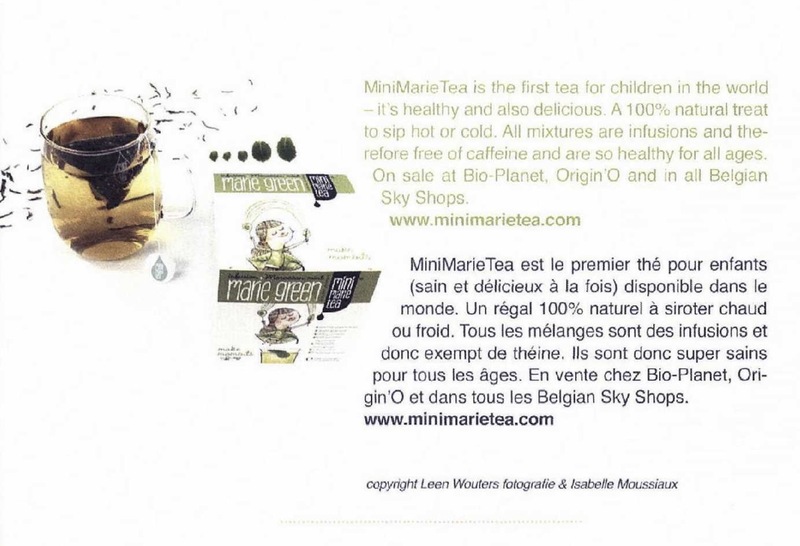 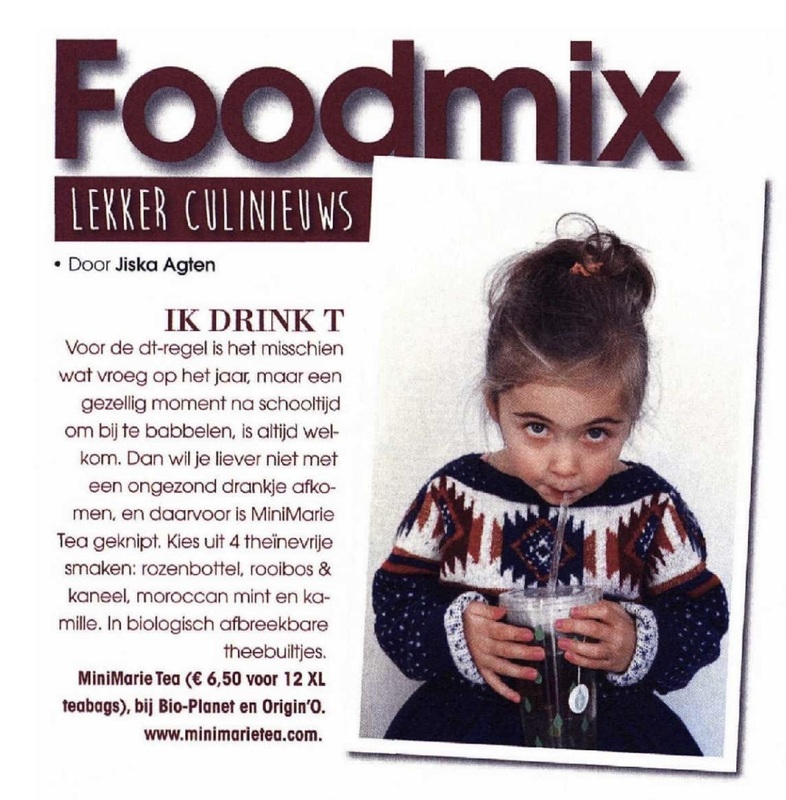 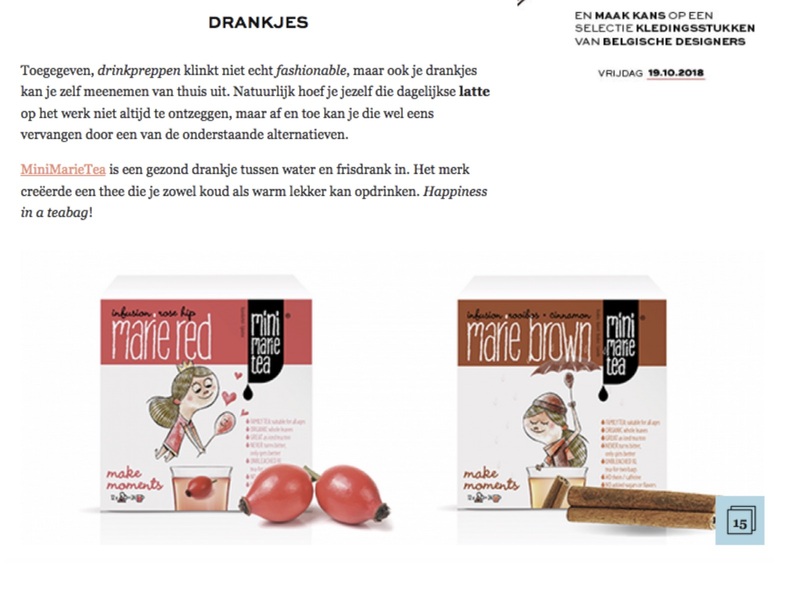 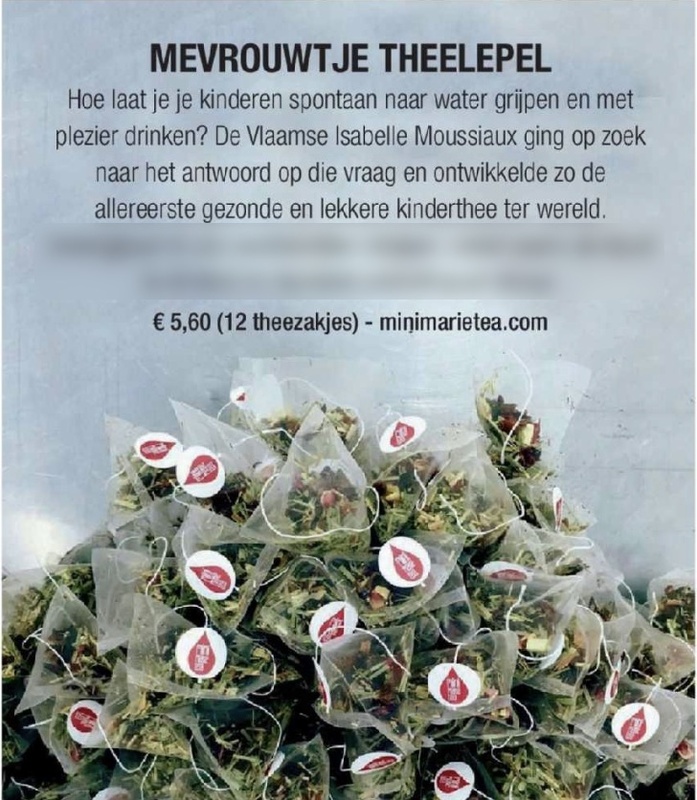 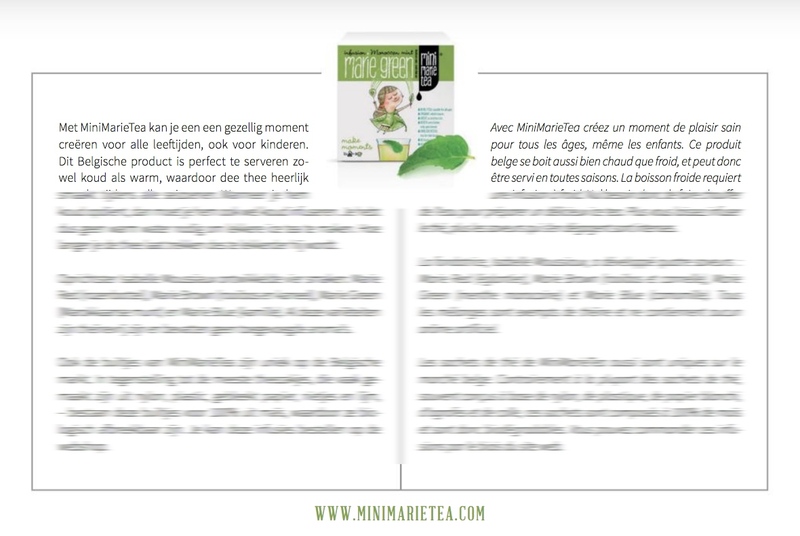 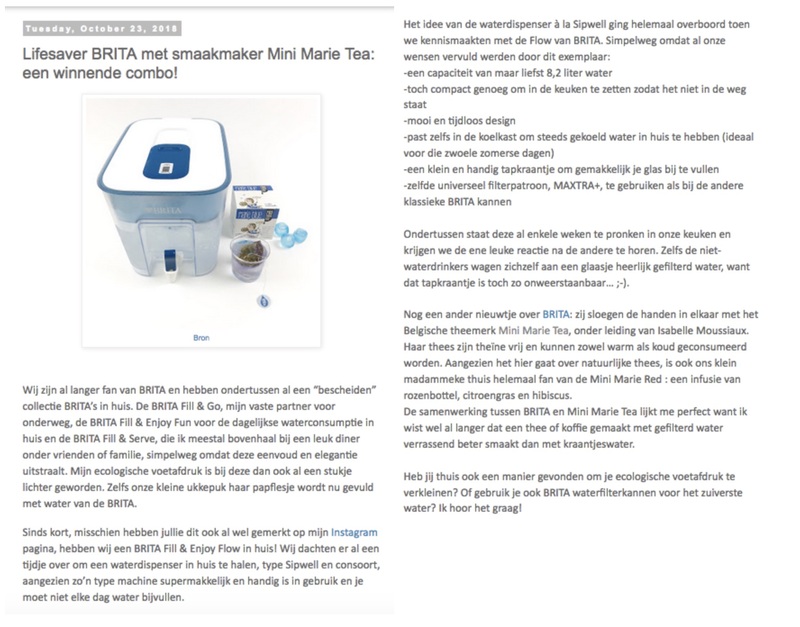 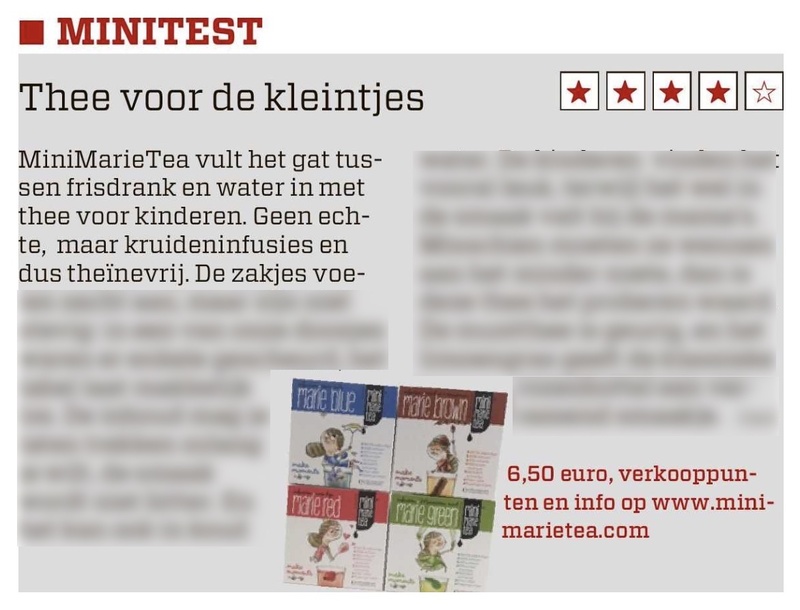 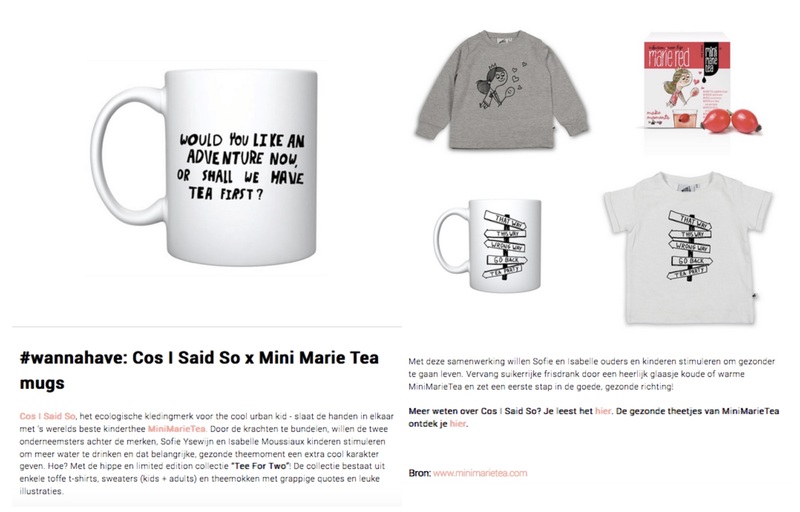 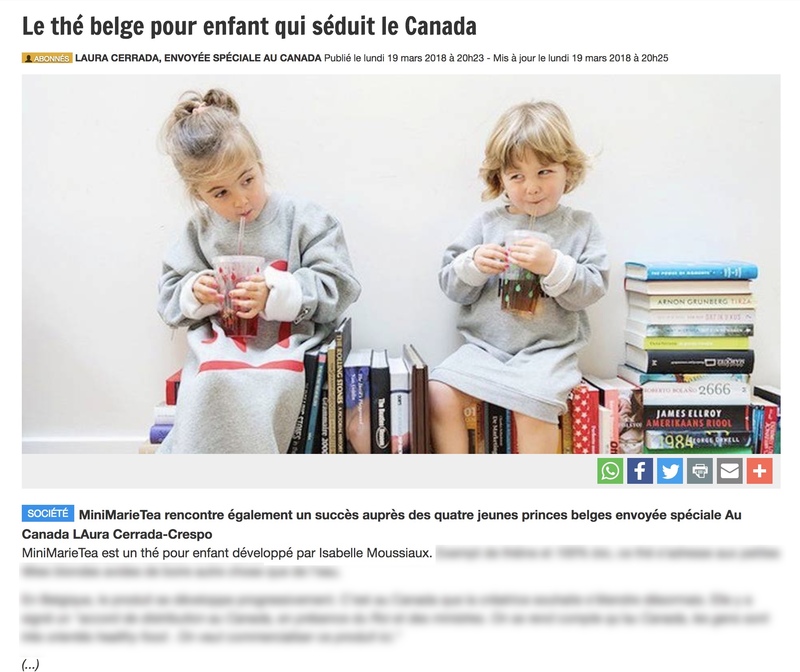 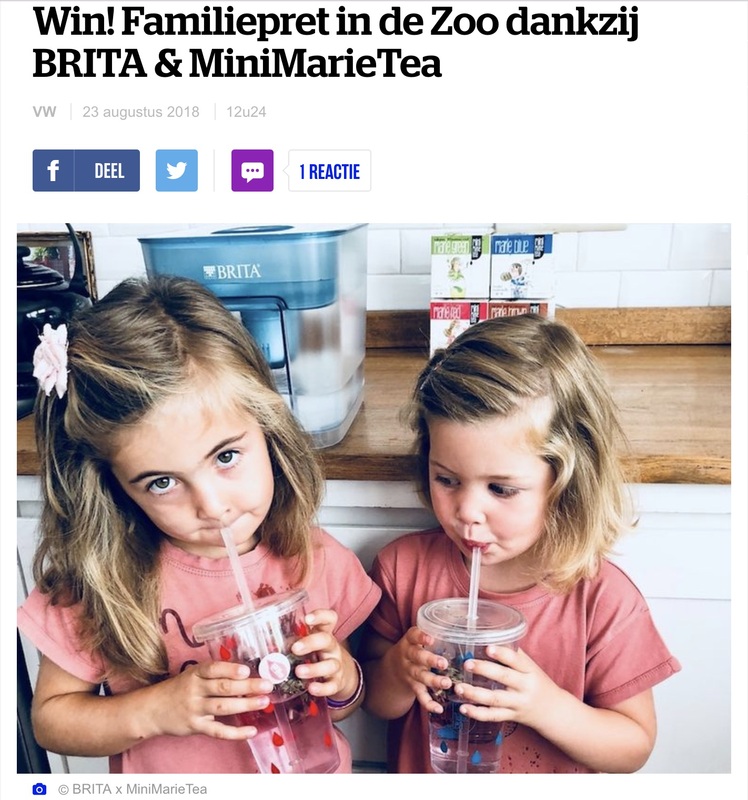 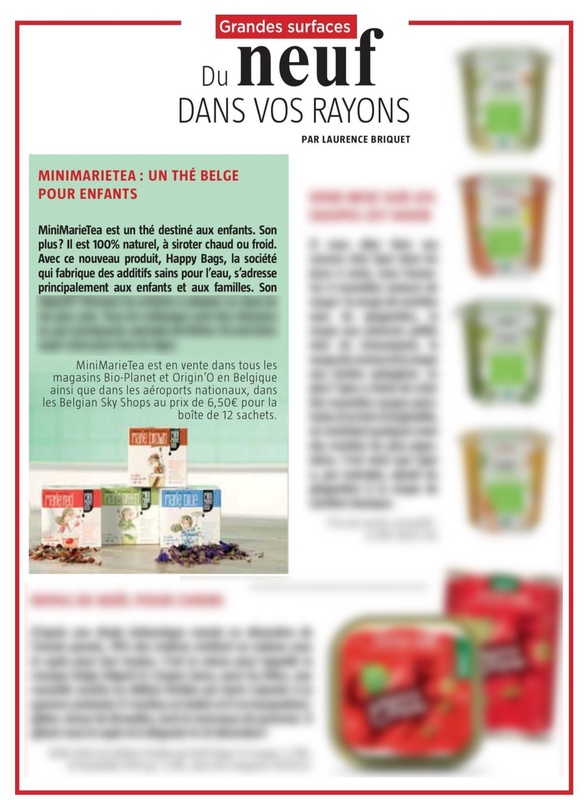 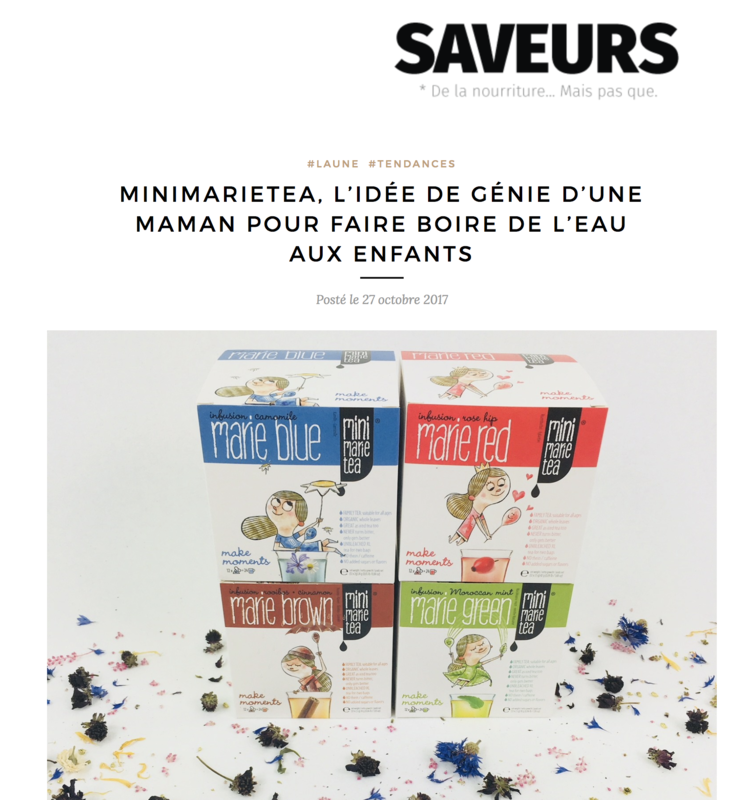 MiniMarieTea was founded and created in 2016 by Marie’s mom Isabelle. 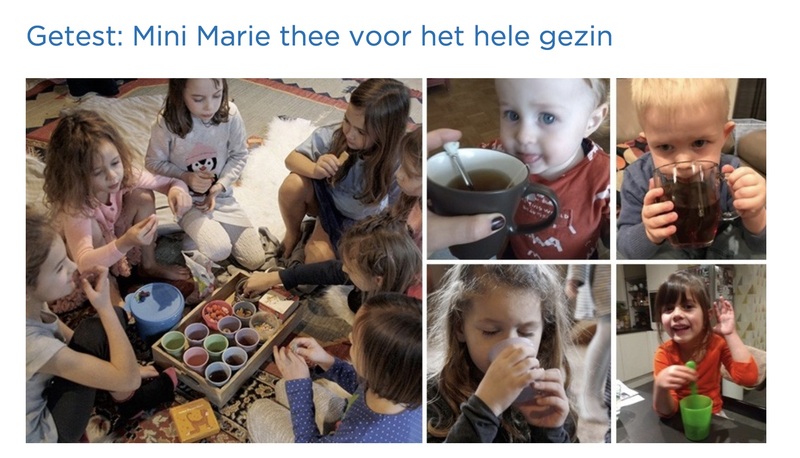 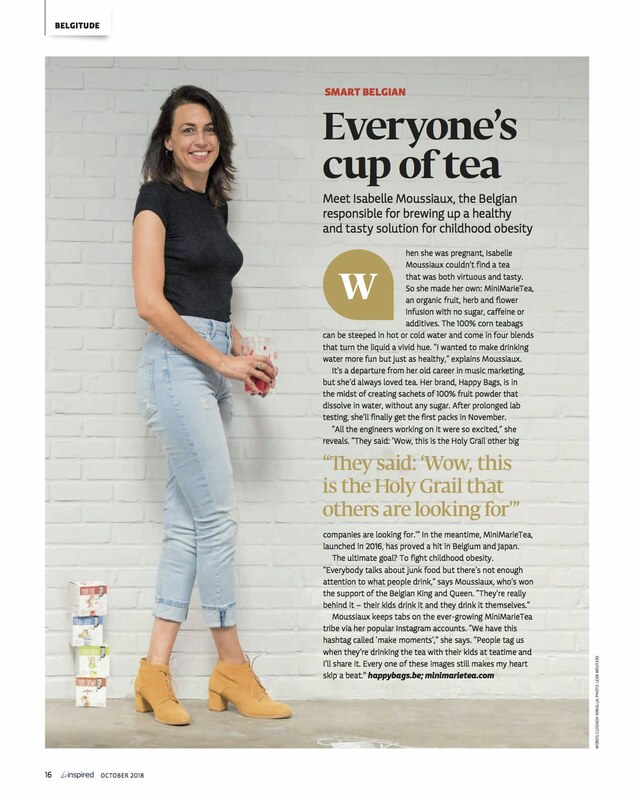 Being madly in love with her kids, herbs and tea, she cherishes the after school tea time with her toddlers. 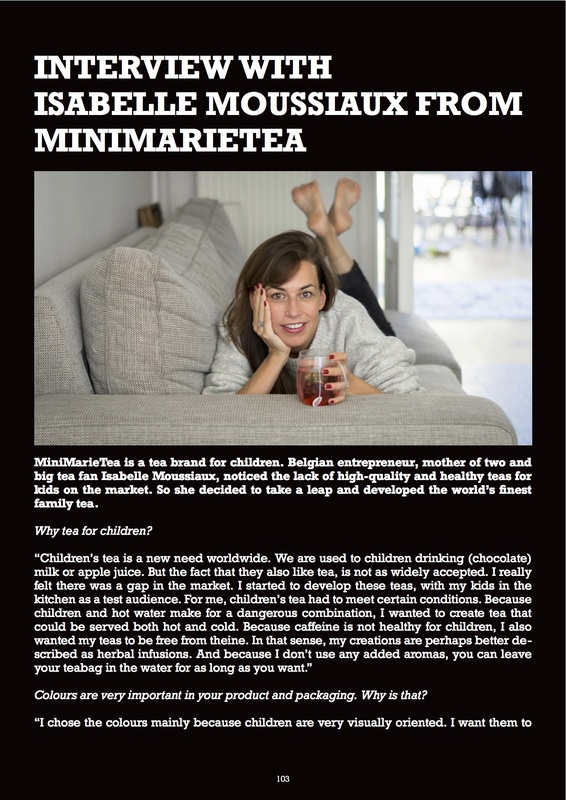 This was how she noticed the lack of infusions she could give her kids with a clear conscience. 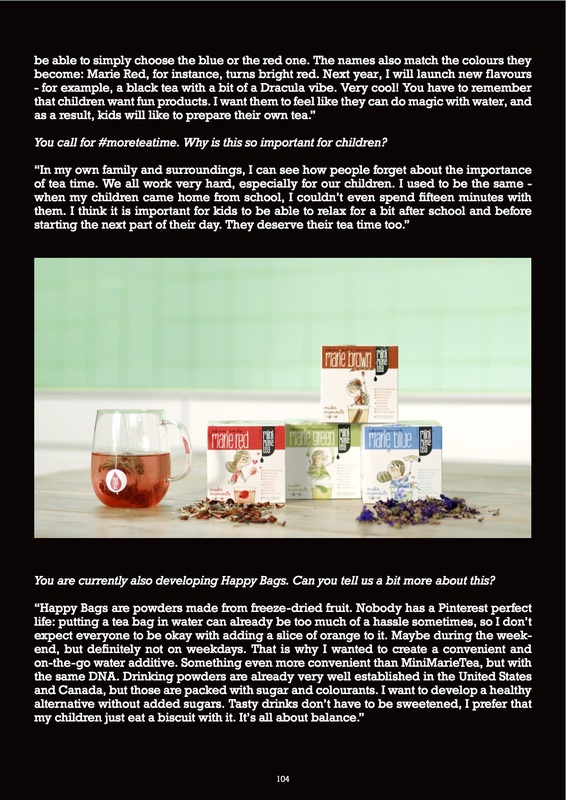 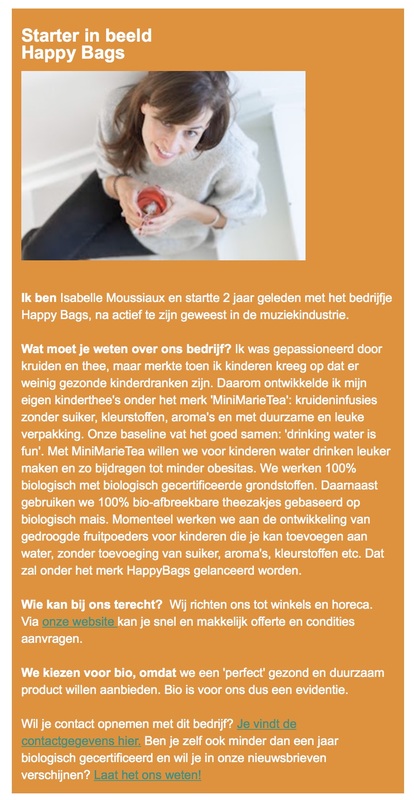 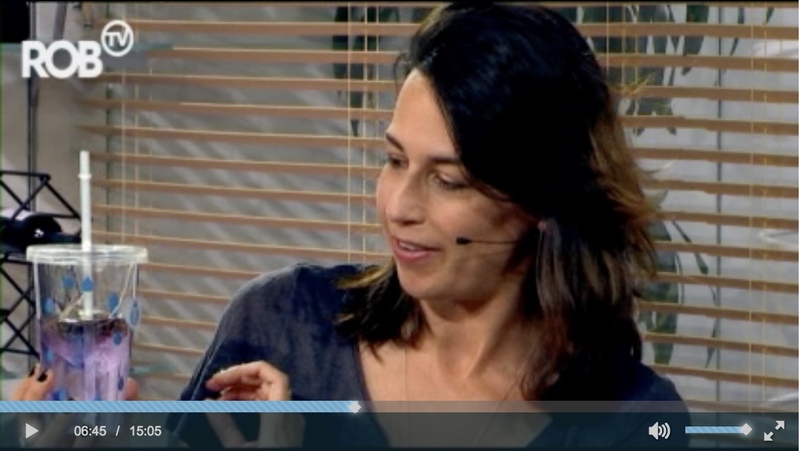 She started her own company to create healthy and fun additives for water: Happy Bags. 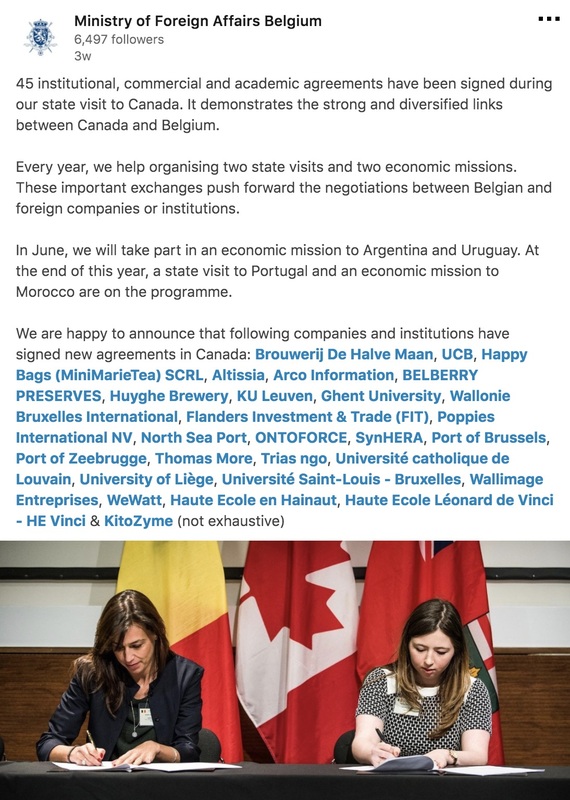 If you want to read more, open the press release below in the language of your preference.